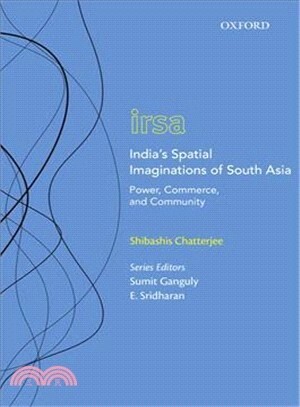 By mapping India's spatial imaginations underlying Indian foreign policy toward South Asia, Shibashis Chatterjee argues that India's understanding of its neighbourhood is informed by a politics of realism as South Asia remains a 'space' defined in terms of power and sovereign territoriality in contrast to alternative imaginations based on the market or community. This understanding is one of India's ruling elites consisting of politicians, cutting across party lines, key bureaucrats, army chiefs, and influential policy intellectuals. While alternative imagination/s of South Asia is indeed ideationally possible, the politics necessary to make this happen is virtually nonexistent. While India's relations with neighbours have varied with regimes over time, these have moved between fixed points of references, constituted by its imagination of South Asia as a space of power and territorial control. The book tells a story of India's spatial imaginations of its neighbourhood and reveals how the differentiated cartography of territorial nationalism still looms large on our shared ontology of social space. Shibashis Chatterjee is Professor at the Department of International Relations, Jadavpur University in Kolkata. His areas of interest are international relations theory and foreign and security policy studies.